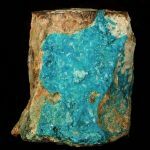 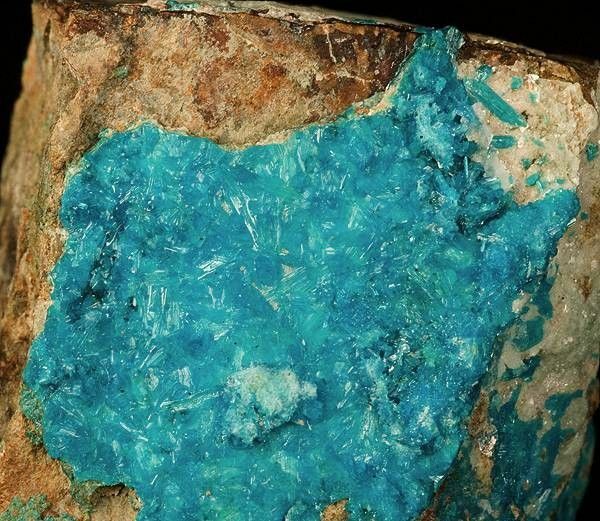 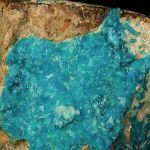 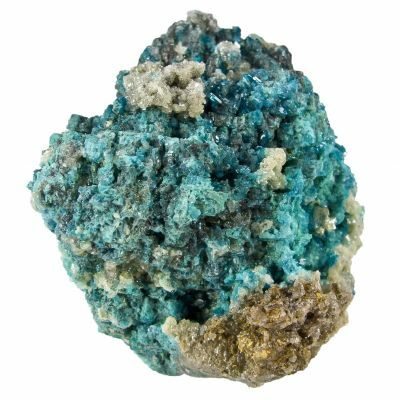 Caledonite is a rare copper, lead sulfate and this bright and rich specimen hails from an uncommon California locale for the species - the Blue Bell Claims near Baker, San Bernardino County. 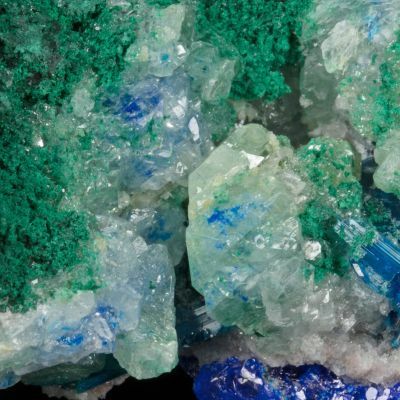 Scintillating, turquoise-blue caledonite microcrystals richly cover the quartz-rich matrix. Older material from the Don Belsher Collection. His card indicates that he purchased the piece in Tucson in 1973.